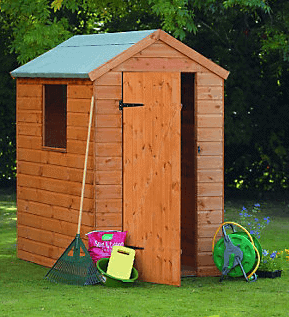 6X4 Shed, Offers & Deals, Who has the Best Right Now? 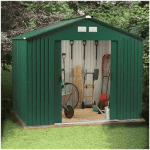 Looking for the best 6×4 sheds available in the UK? If so, look no further. 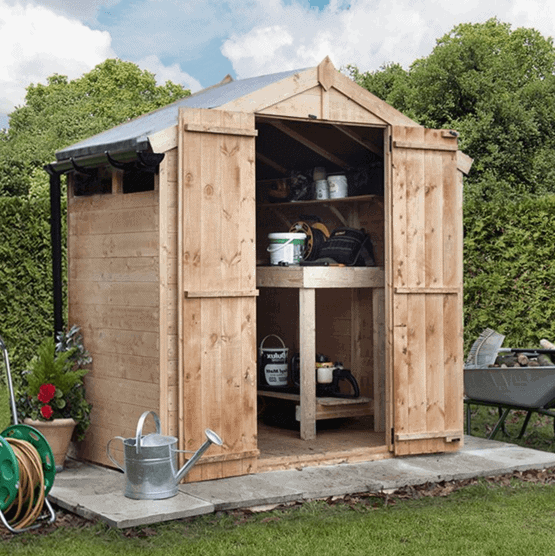 The 6X4 shed is a classic feature of gardens nationwide, and it’s easy to see why: it’s large enough to store a good selection of tools and equipment, and even to move around in, without taking up too much room or becoming obtrusive. The 6X4 shed is as popular today as they’ve ever been, and they come in all materials, so with so much choice available how do you find the shed that’s perfect for your garden? WhatShed are here to help, with our practical guide to the best 6X4 shed currently on sale in the UK. When selecting the winners, we consider many factors. Price and value for money is a consideration, so you’ll find sheds to suit all budgets. We also looked at the build quality, design features that differentiated these sheds from their competitors, and added value in the form of extended warranties and security features. So it’s congratulations to the 6X4 Shed Plus pressure treated shed with log store canopy, which despite very strong competition from 19 other high quality garden buildings is WhatShed’s number one 6X4 shed available to buy online in the UK today. Whatever size and style of garden building you’re looking for, and in whatever material, WhatShed will keep bringing you the reviews that can help you make an informed choice. 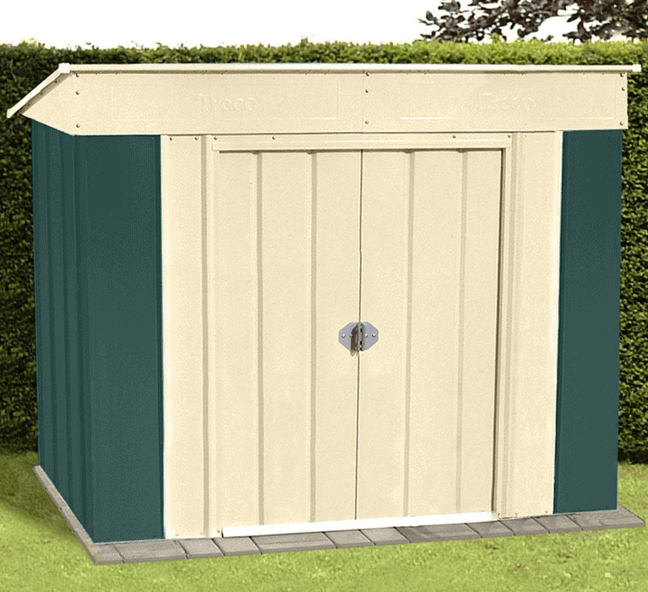 At the very top of our league table of 6X4 sheds comes one that costs just over £200, and yet whilst the great value for money that is provided here certainly helped its rating it also has much more to offer it. This is a shed that provides a surfeit of added value, as shown by the log store canopy attached to the side. 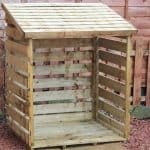 It’s ideal for storing logs of course, but it could also be used for bags of soil, stones or aggregate, or even for a barbecue. Protected by the overhang of the apex roof it’s also a nice place to take shelter on a rainy day as well as a place to find shade in the summer. Overlap cladding is used, which is in keeping with the traditional look that the log store canopy helps to cement (a cladding that is quite common in all the 6X4 Shed on offer on the market). Whilst this is cheaper than tongue and groove cladding (a less popular option on the 6X4 shed), which is one reason that it can be offered at such an affordable cost, it still offers excellent protection against rot as the timbers have been pressure treated (we were very pleased to see this on a 6X4 shed as usually this is only done on larger modfdles). This is something that we often fail to see in many sheds that are much more expensive, and it also means that it comes with a 15 year warranty against rot that isn’t dependent upon costly annual treatments being applied by the customer (although we would still recommend inspecting it annually to see if it could benefit from more wood preserver). There’s even a fixed window to let light in, which again is something that we wouldn’t necessarily expect to see at this price. Overall this is clearly the best 6X4 Shed available all things considered. Plastic sheds are often used for security purposes because they have a well deserved reputation for being strong and sturdy, and as they’re not prone to either rust or rot they are very durable and long lasting as well. That was certainly the case with this PVC shed, but we were pleased to see that it should allow lots of natural light to reach the interior via a skylight in the roof rather than through a window positioned on the side. The roof itself is one of the tallest of all the 6′ X 4′ sheds that we’ve reviewed and has a ridge height of 7 feet. With the infusion of natural light this should make it a comfortable environment to spend time in rather than simply being a place to store an item and then get out of as quickly as possible. The other feature that really impressed us, and which is responsible in part for its very high ranking, is the superior quality high strength polycarbonate cladding. 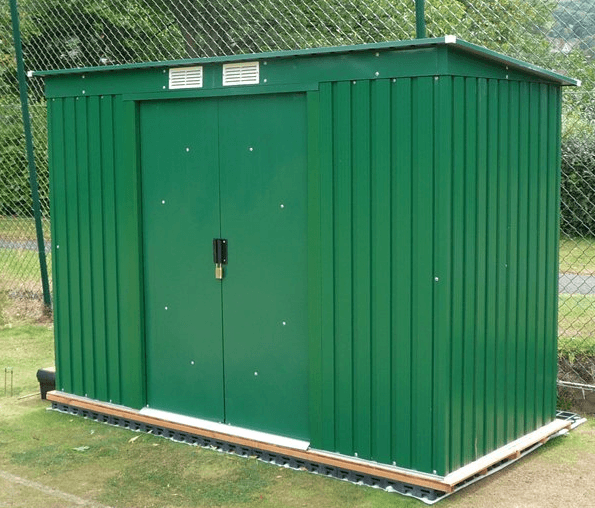 It not only looks great, thanks to the lime green cladding which looks different to all the other green plastic and metal sheds we’ve reviewed, it should also feel very strong when assembled. This is partly due to the heavy duty aluminium framing as well, so we feel this would be an ideal choice for people living in areas that are often subject to high winds. With it’s very affordable price, and a 10 year warranty, this is our highest ranked plastic 6X4 shed. This metal 6X4 shed manages to achieve the ideal combination of looking attractive whilst at the same time looking very tough. The metal exterior is given a well applied and universal green colour scheme, yet it retains the strong appearance that metallic sheds typically have. This in itself can act as a deterrent to potential shed thieves who are often in search of targets that look easy. Further security is provided by a key operated locking system, as well as by the one front positioned window which is tough and difficult to shatter and is positioned high up to make it difficult for passers by to see what’s inside. There’s even the option to add an infra-red alarm and a padlock as well, this really is taking things up to the next level as its the only 6X4 shed we have seen that offers this. We were very impressed by the level of security against crime provided as standard, and we were even more impressed by the security given against the elements. The strong galvanised metal has then been PVC coated, which gives it excellent protection against rain and snow, as well as meaning that it’s fire resistant to class 0 and 1. 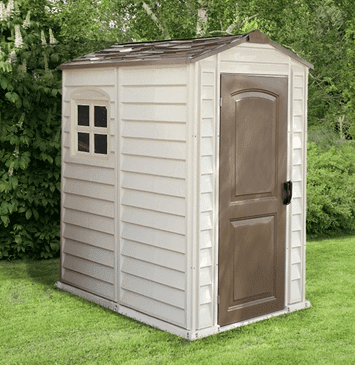 With a 25 year panel guarantee as well, the longest of any of the 6′ X 4′ sheds we’ve reviewed, this would have been at the very top of this top 20 list were it not for its price which is significantly higher than any other shed in this table. As it stands this is still our top rated metal shed at this size, although we understand that its cost may put some people off. 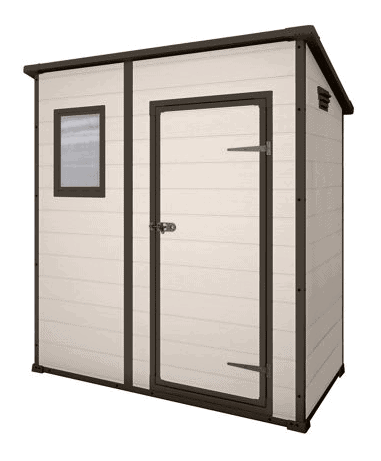 One of, if not the best 6X4 sheds if you are looking for security. This is the most original looking timber 6′ X 4′ shed that we’ve reviewed, and as we know that aesthetic appeal is one of the most important factors that people consider when choosing a shed for their garden it has propelled it towards the very summit of our top 20 league table. The curved design of the roof is unique and yet highly effective at channelling rainwater swiftly away, and the two long windows at either side of the single door also help to complete the very attractive styling as well as allowing lots of light to reach all corners of the building. We were pleased to see that styrene had been used for the glazing on the windows, giving added security against potential intruders. Of course looks, while important, aren’t everything and so we were glad to see that 12mm tongue and groove cladding had been used across all the surfaces, and that the shed comes with a 10 year manufacturer’s guarantee against rot. We would have liked this to be even longer however, and feel that it could have been if a pressure treatment had been used rather than a dip treatment. It is this that prevented us from placing this great looking shed in the top three of our list. A truly unique and almost conversation starting 6X4 shed. Once again, this is a plastic shed that has a look all of its own and which is all the better for it. We were very struck by the anthracite colour of this shed, as although it means that it won’t blend in with the greens and browns commonly found in a garden it does look very attractive. This is sure to impress your neighbours, and we were impressed with its wide range of features as well although its relatively high price tag prevented it from being ranked towards the very top of our shed league table. As the name suggests, a skylight is included as standard, and the translucent panel should mean that the interior is flooded with light on a sunny day while still preventing unauthorised eyes from finding out if anything valuable is kept inside. There’s also a plentiful supply of fresh air, thanks to the vented gables. Unlike many of the plastic sheds we review, the wide double doors open out on to an integrated plastic floor that has excellent load bearing capacities. With its easy to assemble design and maintenance free nature, this is a unique and good looking shed that’s almost ready to use straight out of the box. A strong security focused 6X4 shed. This is another plastic 6X4 shed which proves that they can be an attractive addition to a garden. We were impressed by the cream coloured cladding that features an overlap style design, but the most eye catching feature of all was the apex roof. Made of the same PVC vinyl cladding, it features a shingle style effect that we found aesthetically pleasing, and that we’ve not seen used on plastic garden buildings made by any other manufacturer. Coloured brown, just as the single door is, it seems to draw the eye to it and should make this shed a talked about garden feature you’ll be proud of. What we particularly liked about this shed is that the PVC cladding itself is allied to a very strong galvanised steel frame. The end result is a structure that should feel reassuringly strong and stable, and extra reassurance is provided by its 15 year warranty. There were two other features that we liked, and these were the styrene window with an attractive crossed lattice, and the integrated floor. Floors are often absent in the non-timber sheds we review, so this gives a warm and welcoming substrate to walk upon. It’s also worth noting that as the cladding is fire resistant, this could even be used for storage purposes on a caravan park. Another low maintenance 6X4 shed. We always appreciate it when a customer has the ability to find a reasonable product for a reasonable price. 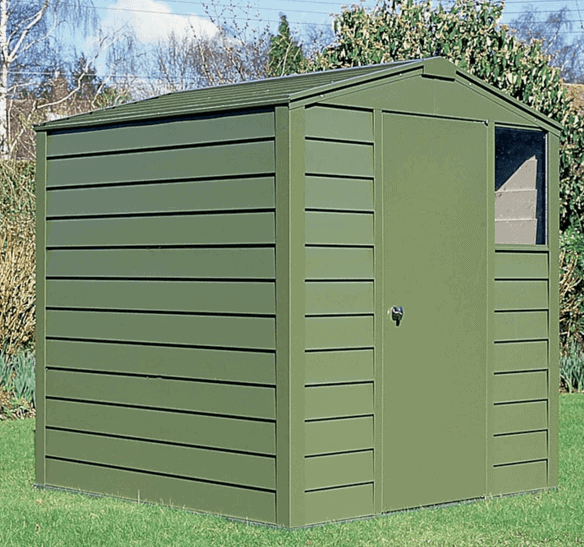 This 6×4 Dip Treated storage shed coming in at just over £200 fits that bill really nicely. With 7mm overlap cladding this is not the thickest or strongest construction on the market. Having said that if all you are looking for is a place to store your tools then this will be more than adequate and is a steal at this price. The door itself is fully braced and ledged with “Z” framing, which is the system that we most like to see on sheds of this size. One featured we also liked was the flexibility to hand the door on either site, giving you just a little added flexibility with the windows also being toughened polycarbonate will not yellow or discoloured over time. The basic dip treated construction will also give you some off the shelf protection. With extra height eaves to give you more headroom and 28mm framing we think this is a perfect budget 6×4 shed. This shed is confidently named, and whilst it didn’t quite make it to the upper echelons of our table it certainly has a lot of features that make it a very worthy addition to the top 20 6′ X 4′ sheds. Whilst making the most of the traditional appeal that well built timber sheds have, we found it particularly attractive because of the smoothness of its cladding. That’s because it’s made of 12mm tongue and groove cladding (a much larger thickness than on the typical 6X4 shed), which locking tightly together is very effective at keeping rainwater at bay. The battle against rot is also helped at top and bottom, thanks to the apex roof and the integrated floor joists which lift the base above ground level which can often have a dangerously high moisture content. We also liked the well sized window on the side panel, especially as it is an opening window and can therefore be used for ventilation and temperature control purposes (again an opening window is not something you typically see on a 6X4 shed). The feature we liked most of all is that the timbers are pressure treated, and so come with a 15 year anti-rot guarantee that isn’t dependent upon the customer themselves carrying out time consuming treatments. 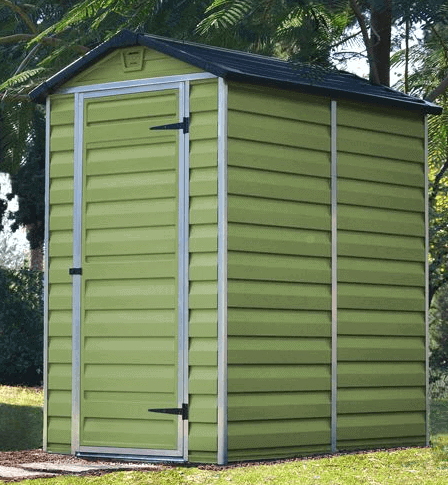 With so many useful features, this shed could well have been placed even higher, but we have taken into account its price tag which is slightly higher than many of its rival sheds. A small and compact yet highly attractive 6X4 shed. From the first moment we were impressed by the attractive appearance of this tongue and groove shed, as the smooth planed timbers fit together beautifully. As you will start to see from others on the list tongue and groove cladding is not typically found on a 6X4 shed. This not only creates aesthetic appeal it also means that there is no way for water to make its way inside the cladding. The tall apex roof is also good at keeping water out, as rain simply hits it and bounces off or runs away. For these reasons, and the welcome inclusion of pressure treated floor joists, the manufacturer has been able to provide a 10 year warranty against rot, which we know will give added peace of mind to many customers. Again pressure treated floor joists are not something you typically see on a 6X4 shed, a very welcome addition in our opinion. Whilst we appreciated this decade long guarantee, we were less impressed that it was dependent upon the customer having to carry out annual preservative treatments, and it’s this that prevented us from giving this a higher ranking within this top 20 table. We did, however, liked the two fixed windows and being made out of styrene they are tougher and much more secure than standard glazing, which is in itself a useful security feature. This also means you won’t have to worry about them shattering if you often have children or grandchildren playing around the building. A reasonably priced 6X4 Shed with solid construction. Wickes might seem a surprising addition to this list as they only have one 6X4 shed on sale at the time of writing. 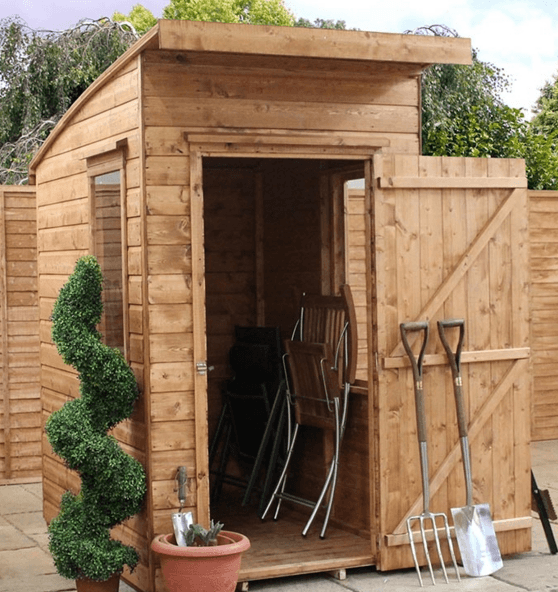 This conforms to what many people think of as a traditional garden shed, and whilst it does have the typical good looks of a high quality timber shed it also has a number of value adding features that make it deserving of a place inside our list of the top 10 6′ X 4′ sheds. It looked like a high quality building from the moment that we saw it, and that’s because it features smooth planed tongue and groove shiplap cladding. We were pleased to see that the timber itself is European softwood that’s FSC certified, which we know is an important consideration for many greener consumers. Again when looking at outher 6X4 sheds we found not many emphasised the FSC certification. Green is also the colour of the roofing felt on top of the apex roof, and we always feel that gives an elegant contrast next to natural wood. As the roof is as good at keeping rainwater out as the interlocking cladding is, we were unsurprised to see that Wickes have been able to provide a 10 year warranty against rot, although as the timber has been dip treated rather than pressure treated the shed will need to be treated annually by the customer. This has prevented us placing the shed even higher up the table, although we were glad to see that a padlock is included as standard therefore giving even better value for money. 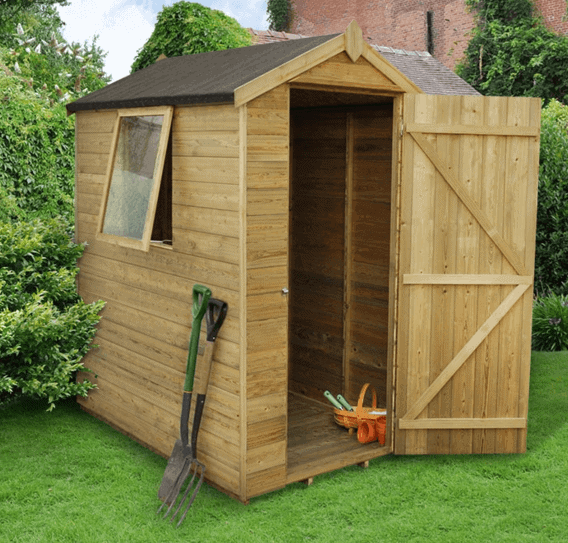 Overall a really traditional 6X4 shed and a solid addition to any garden. When looking for the best 6X4 shed we must say we were pretty impressed when we saw this one. We’ve reviewed a lot of plastic sheds, and we’re always impressed by how versatile and easy to maintain they are. Being completely resistant to rust and rot, and therefore requiring no effort once they’ve been installed they’re a great choice for older customers, or those who don’t have the time for shed maintenance. This particular 6X4 Shed really caught our eye, and in our opinion is the most attractive plastic shed that we’ve seen. With a highly affordable price tag too it certainly deserves to be included within our top 20 table, even though we do feel that the manufacturer’s warranty could have been even longer than the 10 years provided on this occasion. Forget what you think you know about the appearance of plastic garden buildings, as this one features white PVC that takes its lead from white yew, and the dark detailing around the roof, window, door and vents creates what we feel is a striking contrast. The window itself is made of another plastic, styrene, and so is very tough and shatter resistant. At the summit sits a pent roof which does a good job of keeping rainwater out, and which we feel makes it a great choice for areas with overhanging foliage that would prevent the siting of an apex roof. A 6X4 shed that has a nice clean look with lost of maintenance free benefits. This is not your typical 6X4 shed. This apex roofed shed doesn’t have the elegant styling of many of the other sheds that you’ll find on this list, nor some of the value adding features, and yet it does represent exceptional value for a security shed that comes with a useful twist, and for that reason it more than deserves its place in our top 20 table of 6′ X 4′ sheds. Many people who are particularly concerned about security buy sheds that have no windows, but while this is very effective at keeping the contents private, it means that it can be difficult to locate items inside unless artificial lighting is installed. This shed brings the best of both worlds, by including two small fixed windows that have a high position. The size and positioning of the windows makes it very difficult, if not impossible, for passers by to see what’s kept inside, and yet we were impressed by the amount of natural light they should allow in. We also liked the use of double doors that are braced and will likely feel strong to the touch. A padlock will need to be added to enhance security, but that will still lead to a good value for money purchase overall, especially as tongue and groove rather than overlap cladding is used. If you’re looking for a 6X4 shed with a solid construction and strong focus look no further than this. 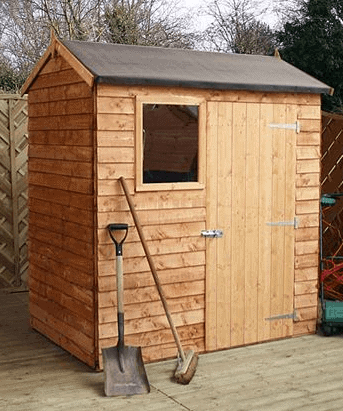 A 6×4 shed can be used for many purposes of course, so this particular example wouldn’t be suitable for people who are looking for a garden building that is comfortable to spend time in and that’s a relaxing place to look out at your garden from. Whilst this shed was noticeably lower than most others that we’ve reviewed we feel that this is in itself a useful feature for people who have security and privacy as their priority, and it’s for this reason that it makes our top 20 list of 6′ X 4′ sheds available in the UK. With its compact height, it’s very easy to hide it behind a fence or hedge, and in this way keep it completely out of sight of unauthorised eyes. This is also helped by the window free design, although we were pleased to see that it does have built in ventilation. 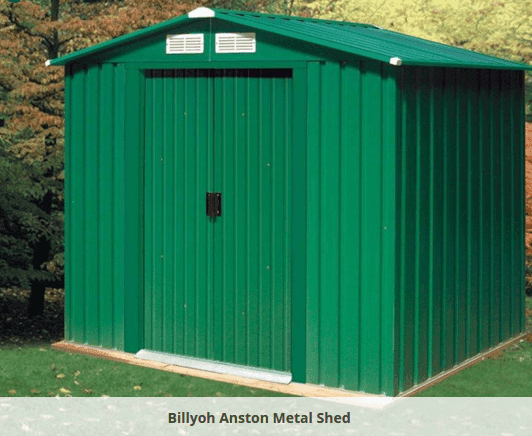 We feel that this low shed also offers good value for money for people in search of a metal shed that will be used solely for secure storage purposes, particularly as it comes with a 20 year manufacturer’s warranty against perforations caused by rust. This shows just how effective and reliable the galvanised steel cladding is. Because it features sliding double doors, it’s also possible to manoeuvre taller objects inside despite the restricted height. A nice two tone 6X4 shed with a strong focus on security. 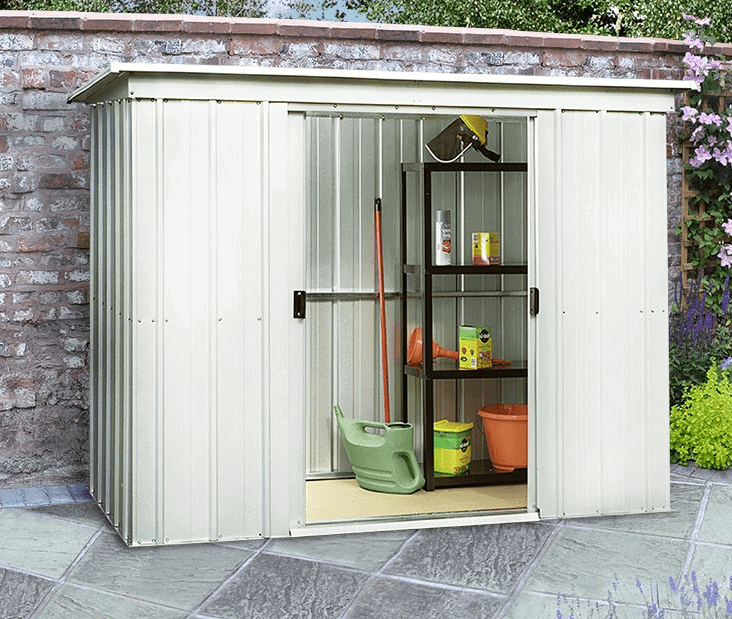 Despite its name, this shed costs a little more than a typical economy 6X4 shed, which is something we’ve taken into consideration when determining its position in this top 20 table, and yet it also has a lot of very useful features and boasts a highly attractive design. The overlap cladding and grey coloured apex roof give the classic rustic appearance that we know that many people love, but what also stood out are the two large windows that completely dominate one side of the building. It means that once inside you’ll likely notice just how bright and welcoming it feels, and the modular design means that the windows can be positioned on either side of the building so that it fits in perfectly with your particular garden. 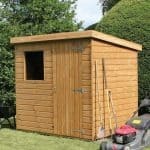 When looking at the typical 6X4 shed you will see how rare the above features are, and its due to this we really thought this had a firm place on the list. Overlap cladding can be very attractive and it’s certainly easier to paint than smooth planed timbers, but it can sometimes feel a little flimsy. Thankfully this certainly shouldn’t be the case here, and we were impressed by the tough framing used that should give it good strength and stability. We also liked the very accommodating double doors, especially as we’re used to seeing single doors on 6′ X 4′ sheds. It means that it’s very easy to move good in and out. 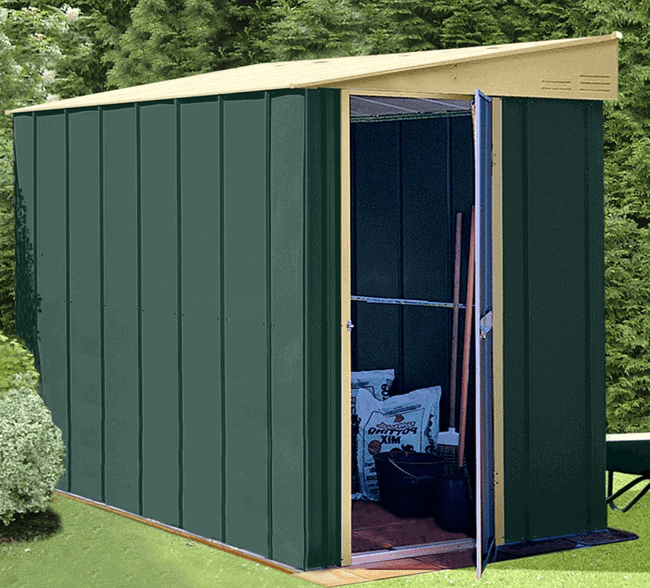 The perfect 6X4 shed for those that are looking for a compact light and airy shed. 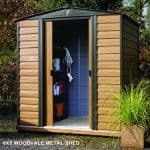 As we mention often throughout our reviews, metal sheds bring a lot of benefits, especially to people who want to erect a shed and then not have to do anything else with it for the rest of its natural life. Occasionally, however, we find that thin metal cladding that’s often used on lower priced metal sheds can make the structure as a whole seem less than fully stable in strong winds (particularly the case with smaller sheds like the 6X4 shed). That’s why we liked the lean to design of this metal building from Shed Baron. It means that the shed can be positioned next to a large wall, or against a house or garage, to give it much better protection against wind, rain and snow. It also means that it can be hidden out of sight from potential thieves who may be passing by. One thing we particularly liked is that both the roof and the single door are reversible, so it can be aligned to make the most of the space available on your property (again we were quite pleased to see this on a 6X4 shed as typically such flexibility is not seen on such compact sheds). It was also good to see that the gable is vented, and that the shed as a whole comes with a very generous 20 year warranty against rust. One factor that helps in the fight against rust is that it’s painted inside and out, in an attractive green rather than metallic colour, giving it an extra protective layer. Overall a really nice little compact 6X4 shed. All of the sheds featured within this top 20 table share the approximate same dimensions, give or take an inch or two, but this shed from Waltons features a different alignment. Its reverse apex means that it has a wider front and shallower depth, and yet the apex nature of the roof still gives it the extra height needed to make it comfortable to spend time inside. 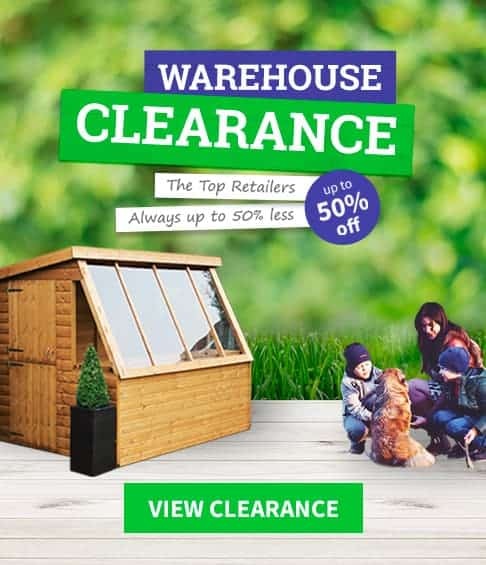 In fact its ridge height of nearly seven feet and eaves height of 5’8 are among the tallest we’ve seen among sheds with this base area and at this price, and this is the reason that it finds a spot in out top 20 6′ X 4′ sheds league table. Unlike many doors you should find won’t need to bend down when entering the one on this shed, which is not only good for your head and your back it makes it easier to carry taller items such as hoes and rakes inside. We again find overlap cladding here, giving it a pleasing traditional appearance, but whilst its thickness of 8mm is greater than some competitors, it’s still thinner than many of the sheds we find on this list. For this reason the shed is in the final quarter of the top 20, although we still feel it represents very good value for money as it comes with a 10 year guarantee. 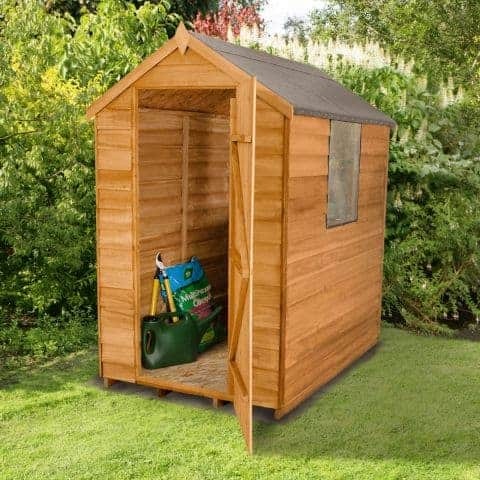 A truly cute and compact 6X4 shed, a really asset to any garden in our opinion. This is another pent roofed metal shed to make our 6X4 shed list, and that shows what a cost effective storage solution they are. Because they don’t have the extra height that is typically found in apex roofed metal sheds they meld into the background, and through smart positioning can even be hidden away behind corners or fences thus making them a more secure storage facility. This one is a dark green colour, and this really caught our eye when we first saw it, making it stand out from all the metallic silver and light green metal sheds that we often review. As far as the overall products on offer in the market this 6X4 shed stood out as a very strong and solid offering. The only part of the exterior that isn’t dark green are the two white ventilation panels on the gable, and it’s this that elevates this metal shed above many others. They allow a lot of air to circulate naturally around the interior, as this is an important feature as it helps to prevent high temperatures building up in summer and condensation forming during colder months. The cladding is also of a superior quality, being made of hot dipped galvanised steel, which in conjunction with the pitch of the corrugated roof keeps rain out and the contents within dry. It also comes with a 15 year warranty against perforations, which is in excess of that we see on many similarly priced sheds. A sold and cost effective 6X4 shed with real security benefits. Once more we have a shed that’s been designed for the budget end of the 6X4 shed market, coming in at less than £200, but this time it’s made of timber. It has a very rustic appearance, with overlap cladding being used and a dark felt covered apex roof at the summit with attractive diamond shaped detailing rising from each gable. 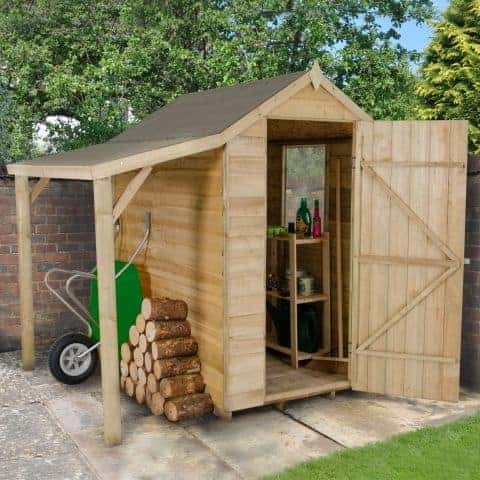 That’s why we feel that it would fit in perfectly with a traditionally styled garden, and as with all these sheds there is more than enough room to store all the tools needed for a small to mid sized garden. The cladding used isn’t the thickest we have seen on a 6X4 shed, at only 5mm, and cost effective solid board material is used for both the roof and the floor. Despite this, both the cladding and the roof are effective at keeping rainwater out, which is why the shed comes with a generous 10 year anti-rot warranty as long as the owner treats it with wood preserver after installation and every year thereafter. What elevates this shed into the top 20 table is its security features. It has a window free design, meaning that passers by can’t tell if anything valuable is stored inside, and it also comes with a turn button locking system. With the addition of a padlock we feel this could easily be used as a low cost security shed. A perfect 6X4 shed for those on a budget. The penultimate entry on our list of the twenty best 6×4 sheds shares some features in common with the last, in that it’s available for less than two hundred pounds and is made of metal, with all the benefits which that substrate brings. One way the 6X4 shed differs however is in its apex roof. 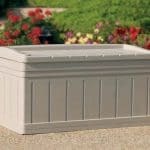 This is excellent at carrying rainwater away as soon as it hits the surface, which is not only good news when it comes to keeping the goods within the shed warm and dry, it also means that water can’t pond on the surface which negates the threat of rot. One other unique feature of this attractive dark green shed, and one that helped it make our top 20 6×4 sheds league table, is that it has a strong entrance and entry ramp that comes out of the sliding double doors. The doors themselves, at 0.85m, are wider than most we see on sheds of this size, and in conjunction with the ramp they make it easy to use a trolley or wheelbarrow to bring heavy or bulky items inside. We were also impressed with the hot dipped galvanised steel cladding, and the 15 year manufacturer’s warranty that it facilitates. It’s a mark of confidence that we share, and adds extra value to an already good price point. Overall an outstanding 6X4 shed. 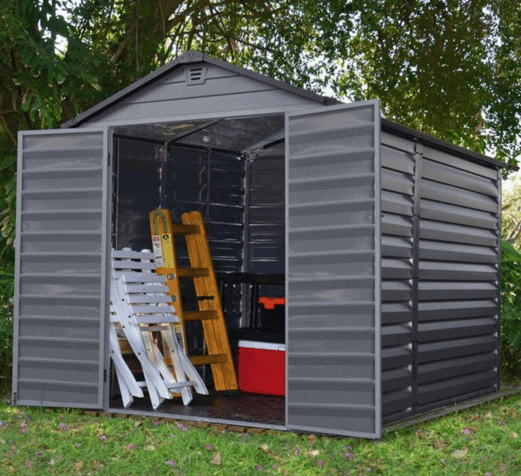 This entry level metal shed from Yardmaster is the last to enter the 6×4 shed awards list. 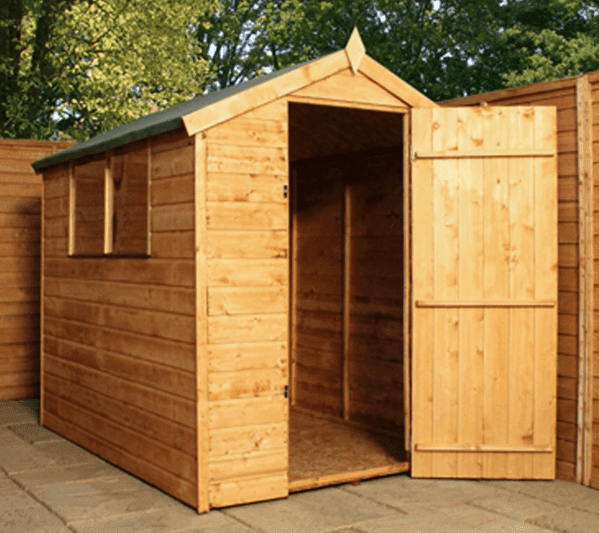 It has significant advantages over budget 6×4 sheds that are made in timber, principally that once it has been erected it requires no future treatment and very little maintenance other than washing or hosing it down occasionally. It features a pent roof which causes rain to slide away rather than sitting on the surface, and corrugated cladding with double sliding doors that are fitted internally to give them added protection against accidental impacts or even possible intruders. Thanks to its green cladding with white roof it can also blend in to a garden background, rather than looking too metallic. 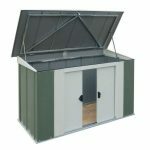 The stand-out feature of this 6×4 shed is its highly affordable price, especially when you consider that it also includes a 10 year warranty against perforations, and that it comes with all fixtures and fittings needed including base kit, which is something that we don’t always find in sheds at this price and above. 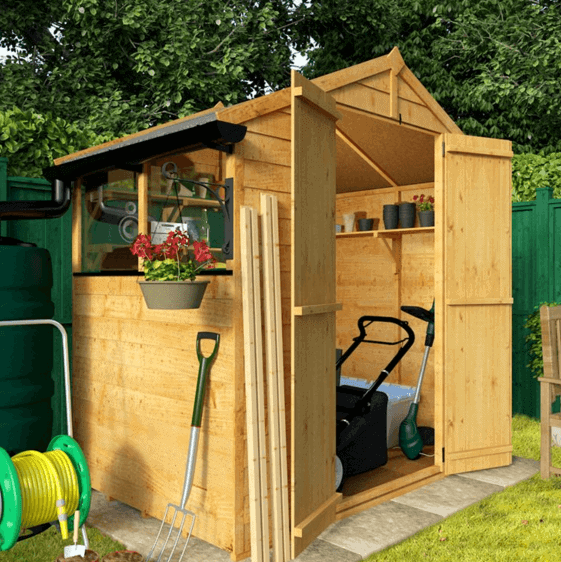 That’s real peace of mind for those who want a reasonably sized garden storage shed but are operating within a restricted budget, and it’s the principle reason that it makes the WhatShed top 20 table of 6′ X 4′ sheds.